Our blender gets used at least a few times a day. What can I say, we all love smoothies of every kind? 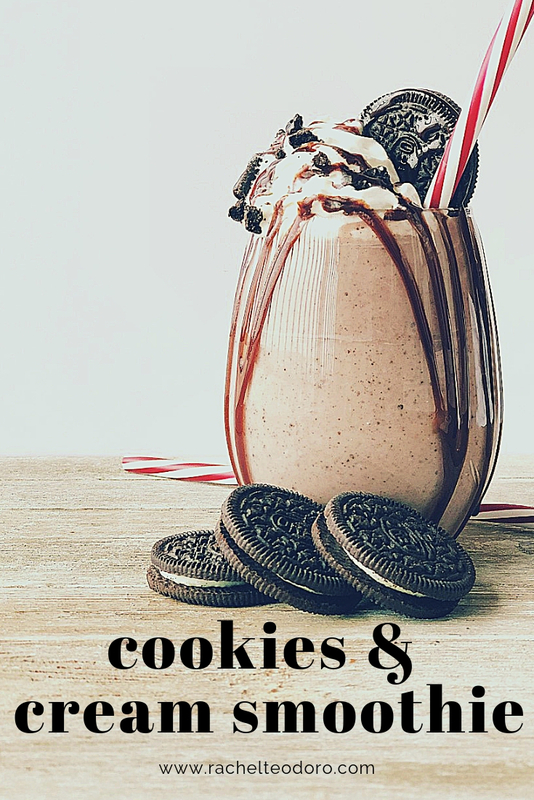 Coffee smoothies, fruit smoothies and of course, dessert smoothies like this cookies and cream smoothie. 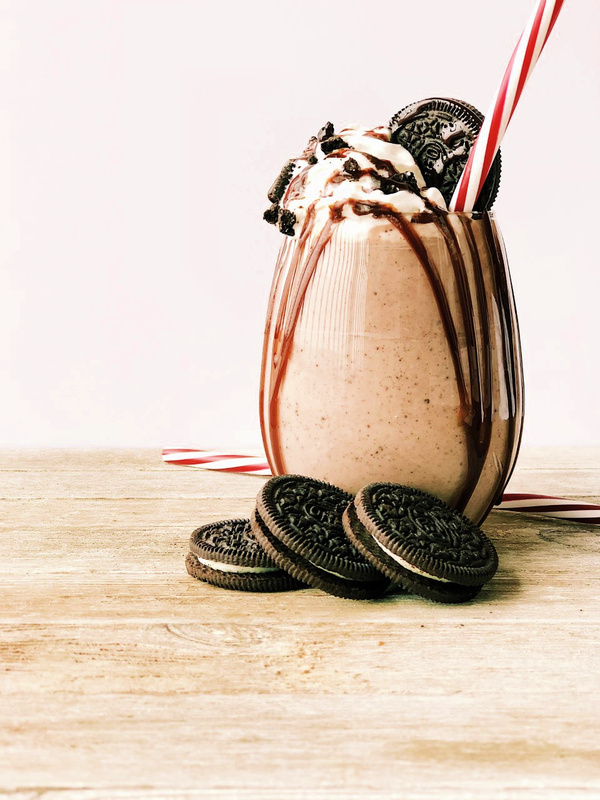 What's not to love with this creamy and delicious smoothie topped with whipped cream, chocolate drizzle and of course crushed Oreo cookies? It's going to be your new family favorite too! Check out the recipe and make it today! Oreo cookies are my weakness. I like the double stuffed ones. Don't give me any weird flavored Oreo, I like the normal cookie. 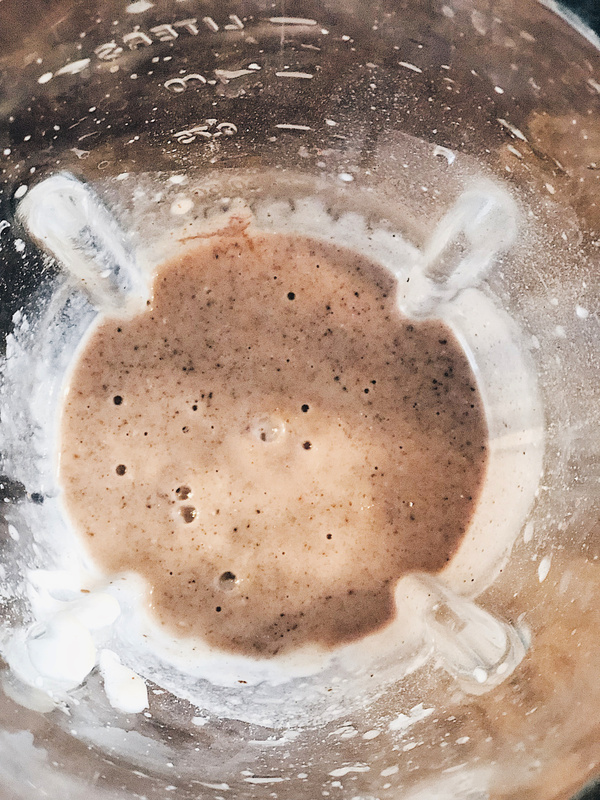 They actually make a great cookies and cream smoothie and you can pick out the Oreo flavors so any Oreo lover will be dying over this smoothie! 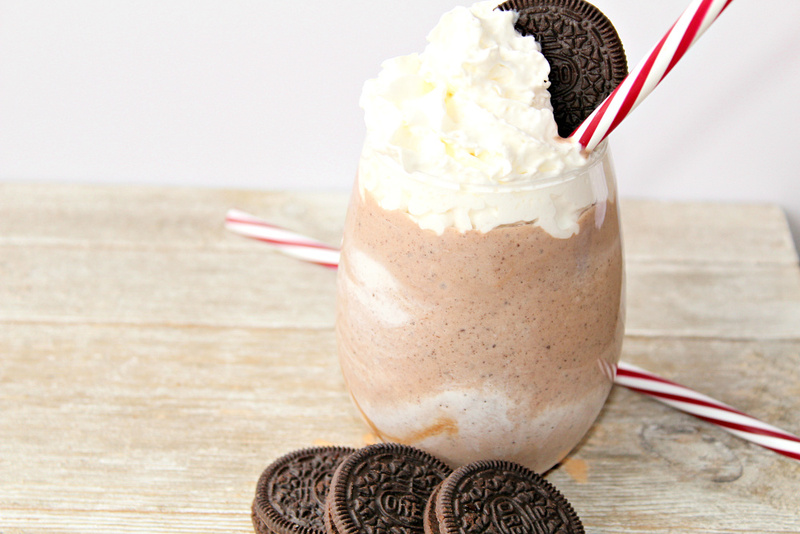 Delicious cookies and cream smoothie everyone in the whole family will enjoy! 1. 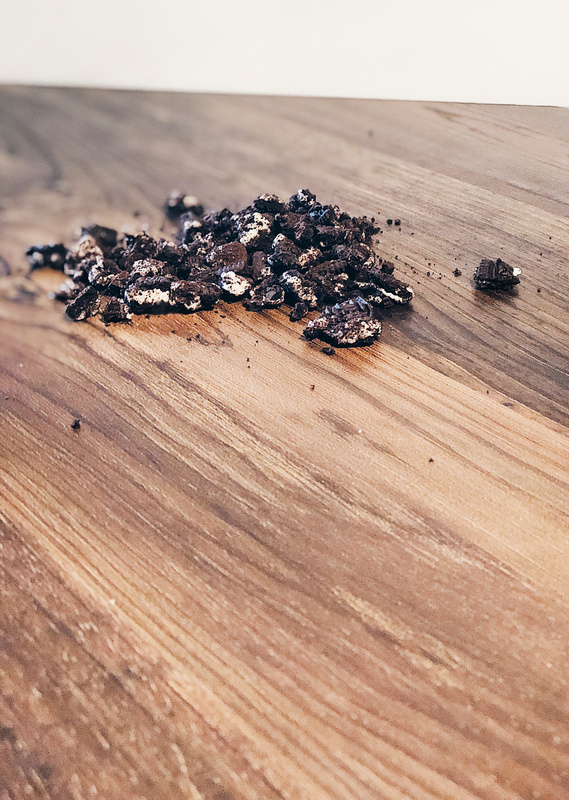 Start by crushing two Oreos in a zip lock bag or in a food processor. 2. 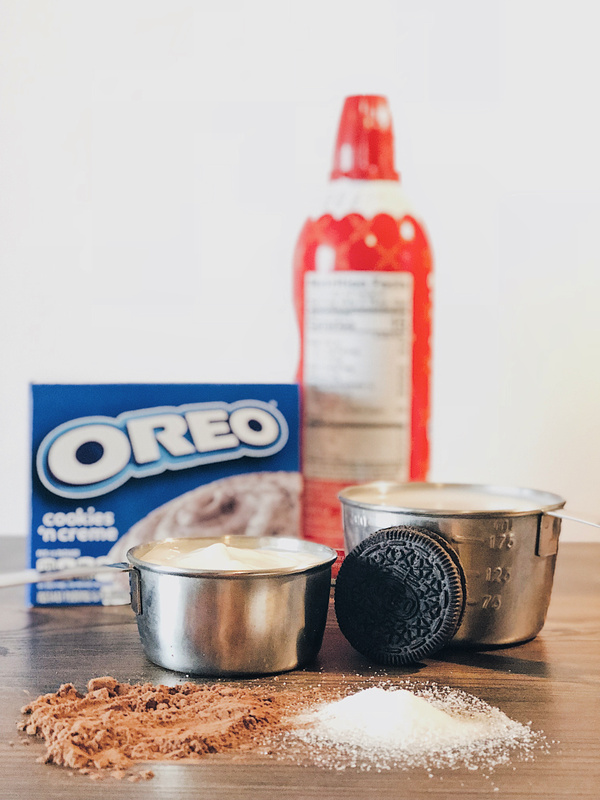 Place all ingredients EXCEPT whip cream and crushed Oreos in a blender. 3. Blend on high for 30 seconds to 1 minute, or until smooth. 4. 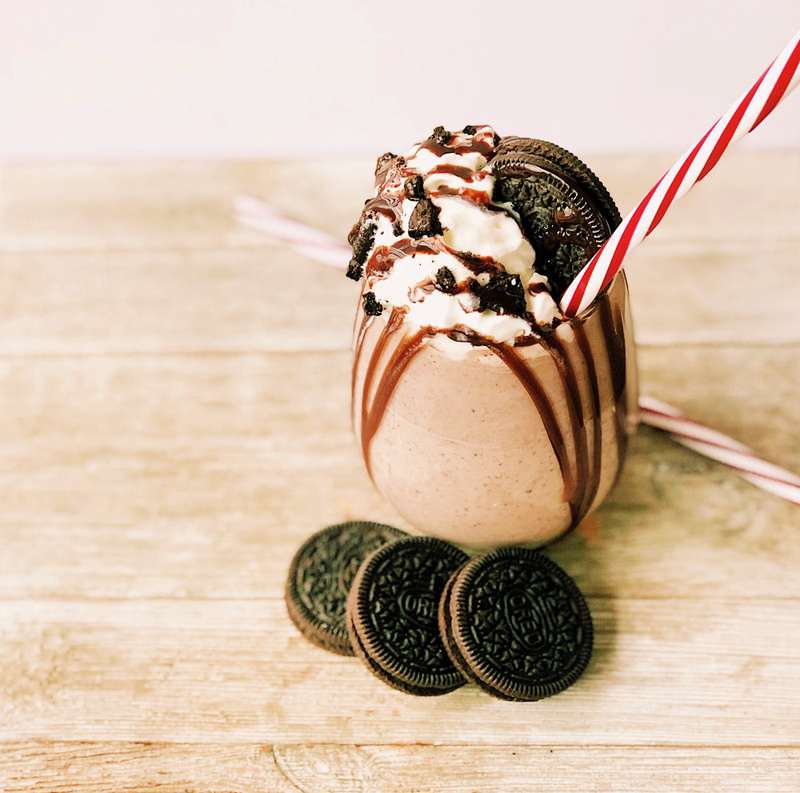 Pour into glasses, and top with whip cream and crushed Oreos and drizzle with chocolate syrup if you want! Of course, you can double or triple the ingredients and make a whole batch! 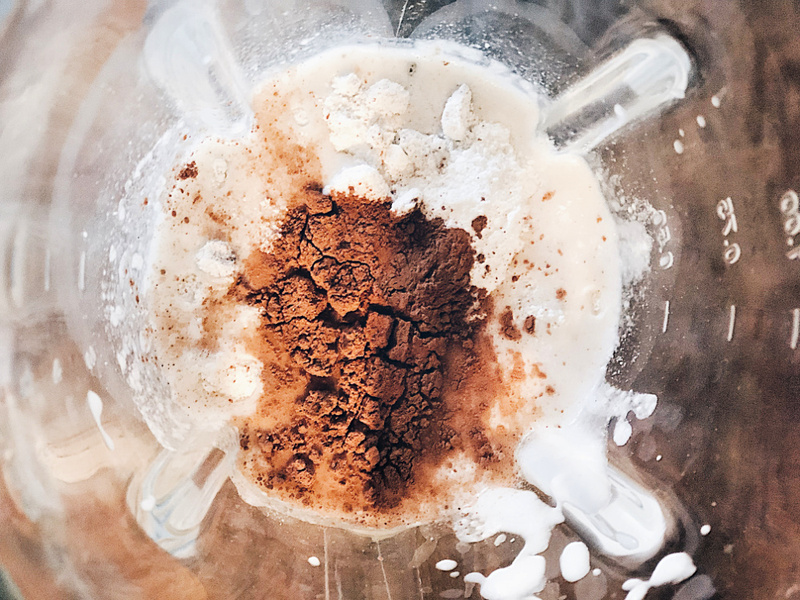 Feel free to substitute out the almond milk for regular milk, but I think it gives the smoothie a yummy creamy flavor you don't get with regular milk. Give this a try and let me know what you think! I think any cookie lover is going to love this!